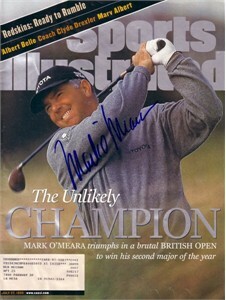 Complete July 27, 1998 issue of Sports Illustrated autographed by Mark O'Meara. Minor to moderate flaws and wear. Obtained in person, with certificate of authenticity from AutographsForSale.com. ONLY ONE AVAILABLE FOR SALE.